I've been trying to cold call and cold e-mail some scientists specializing in cartilage growth and repair(long bone growth is hyaline cartilage growth). I can't find someone willing to put themselves out there. Some people have been curious about the proof of the remnants of the hyaline cartilage growth plate line after growth cessation. 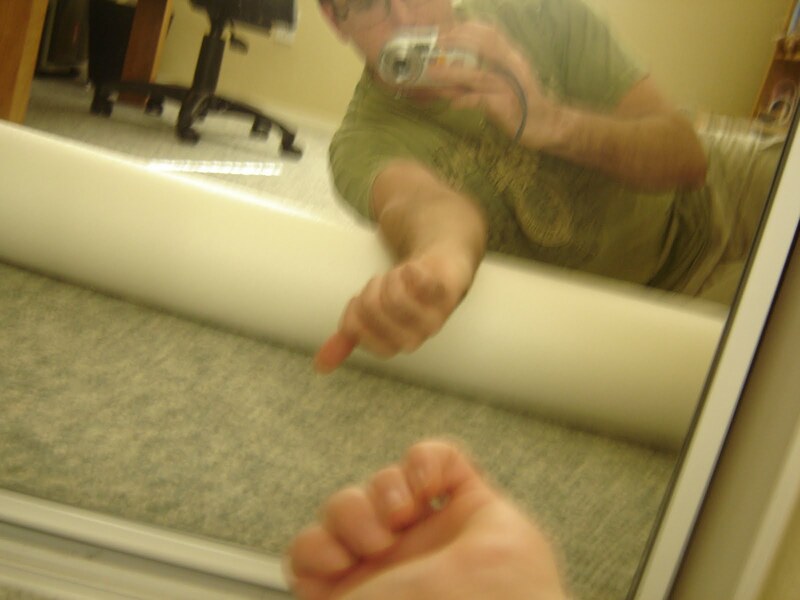 There's visible x-ray proof of a hyaline cartilage growth plate line. A line up high in the growth plate line the same texture of whiteness as the articular cartilage. Obviously, the best proof would be a microscope slide of a mature epiphysis showing that hyaline cartilage growth plate line. I have scoured and haven't been able to find such a slide. There are several sources however that state the hyaline cartilage remains at both the articulating ends of the bone and in the epiphysis. The other day, I had an epiphany about the fibrous capsule possibly being of great importance in lateral synovial joint loading. The fibrous capsule is an extension of the periosteum of the long bones and periosteal progenitor cells are of great importance in dristraction osteogensis among other things. Also important, the fibrous capsule feeds almost directly into the hyaline cartilage growth plate line. Now these progenitor cells need to be encouraged to undergo a chondrogenic lineage and that's where articular cartilage loading comes in. Lateral joint loading could cause shear strain of the synovial fluid against the articular cartilage resulting in the upregulation of genes that encourage progenitor cells to undergo a chondrogenic lineage. Now, are the results of joint loading due to epiphyseal microfracture(stem cells) or periosteal progenitor cells or a combination of both? There's a way to tell. 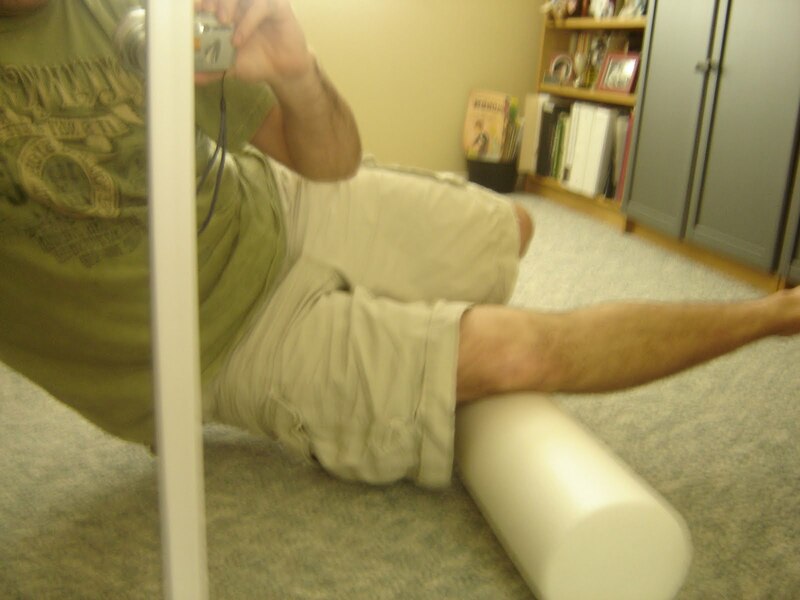 With stem cells, you should get larger results with tapping and direct loading of the epiphysis with dumbells. With progenitor cells, much less weight is needed and results could possibly be gained using very simple equipment like a foam roller(which I mentioned possibly being usable before in my article about rolfing). It takes a lot less to cause shear strain in the periosteum then it does to cause epiphyseal microfracture. 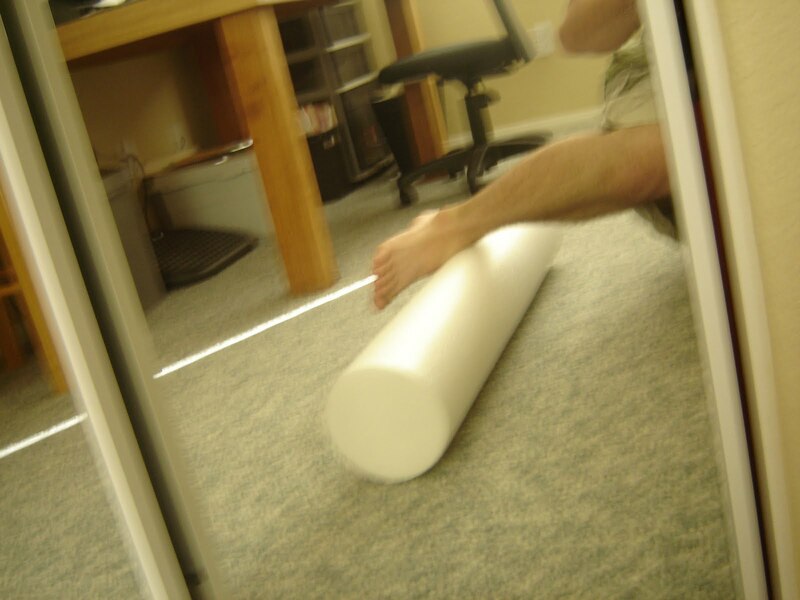 The foam roller can also be used to cause shear strain on the spinous process of the spinal bones(causing a possible increase in size in the backbone). 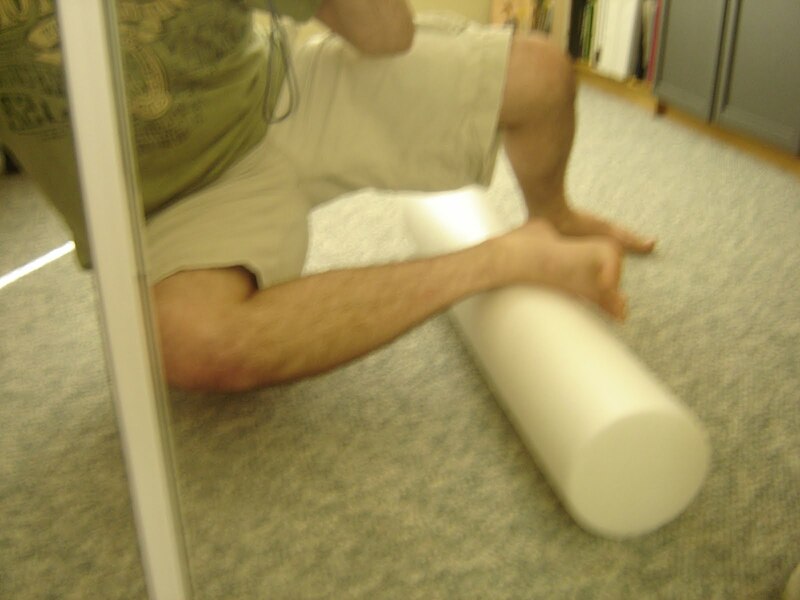 I have included some sample pictures of how to use the Foam Roller to cause shear strain on the fibrous capsule and periosteum. And so on... The more of your body that's off the ground the better and the greater the amount of load there is on the synovial joint. Then you slide your joint back and forth against the foam roller. Now dumbell loading or the table clamp still provides loading on the fibrous capsule. 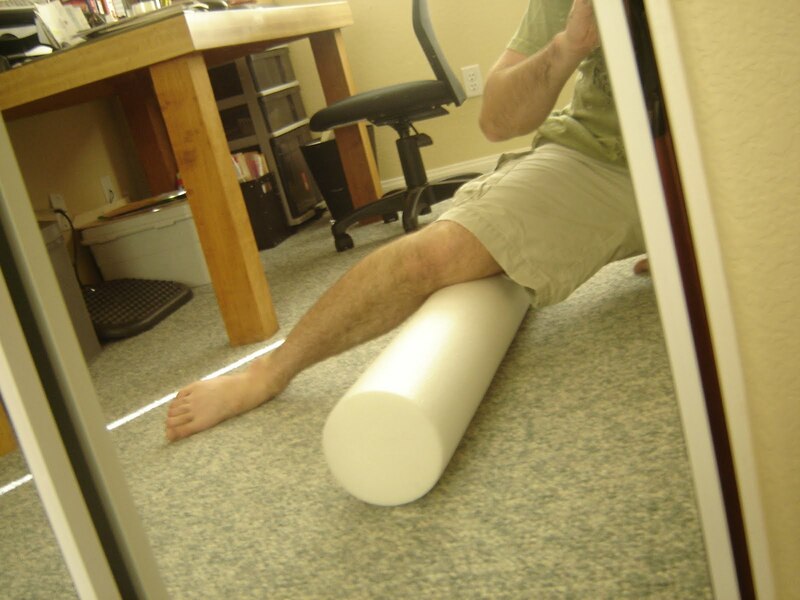 Using the foam roller is just a way to isolate the effects of fibrous capsule loading versus epiphyseal microfracture. Theoretically, there should be a way to load(cause shear strain) on all the periosteums of the spinous process of the vertebral bones at once. Unfortunately, I have not found an efficient way to do that using a foam roller. Now the periosteum is constantly under shear stress during a sport like running. However, there's no increase in height(or at least a significant one that's gotten attention) in the tibial or femoral bones of runners. Well, one thing that's missing is that the progenitor cells aren't encouraged to differentiate into chondrocytes and instead differentiate into osteoblasts increasing cortical bone width. The periosteal shear occurring during sprinting is mostly along the diaphysis of the bone rather on the epiphysis where there would be more genes encouraging the progeintor cells to undergo a chondrogenic lineage. i have a quick question if we do everything right and lsjl works. how long does the process of stem cell to chondrocytes,to them dying, and bone cells take their place take. is this a weeks or months long process? Since you're trying to get the fibrous capsule, i wonder if just massaging the joint area between the epiphyses of the tibia and femur with your fingers could do the same trick?